Nutrition for growing up kids is a continuous challenge for parents. One of the key nutrients we need to focus on is Calcium. Calcium is found in many ingredients such as cheese, milk, yogurt, non-dairy products such as lentils, seeds, beans, salmon etc. In Indian context, cottage cheese is a key dairy product and is a good source of calcium. This Jhatpat Paneer Recipe, a 10-minute paneer curry is a quick solution for your part of your kids calcium needs on a daily basis. Calcium as we all know is important for the growth of bones and teeth which is a primary reason to make sure that kids get it from all possible sources. The recommended daily intake of calcium for an average adult is 1000mg, while kids need it even more. There are many other advantages of including Calcium in our daily diets. 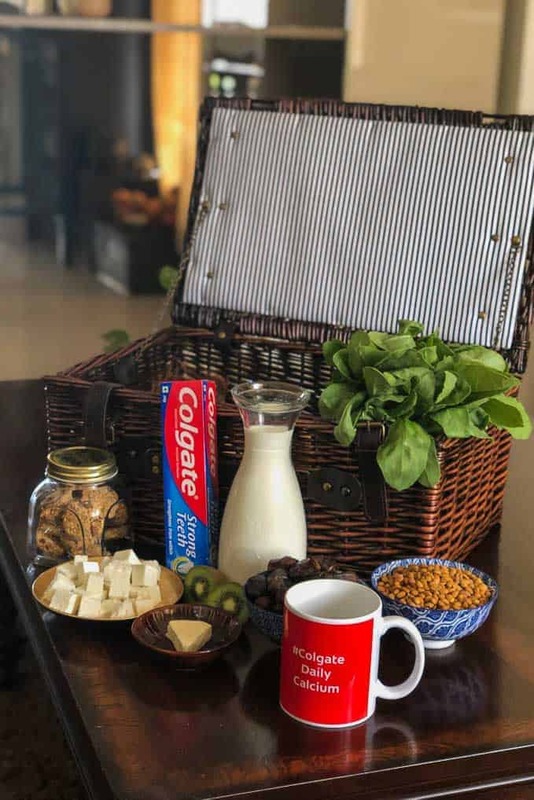 Calcium improves oral health by fortifying teeth to fight against bad bacteria, it helps reduce obesity, fights colon cancer, regulates muscle contractions, improves the heart muscle and prevents arthritis and osteoporosis. Right since Bhavye was a kid, I made sure he gets his daily dose of Calcium in possible ways I could find. I used to run after him like many mothers, making sure he finishes his glass of milk, giving him home made food rich in calcium and soaking almonds overnight for his daily dose and even looking at many supplements. Its best to consult your Paediatrician regularly so he can advise the best ways to give each kid about key nutrients including Calcium. 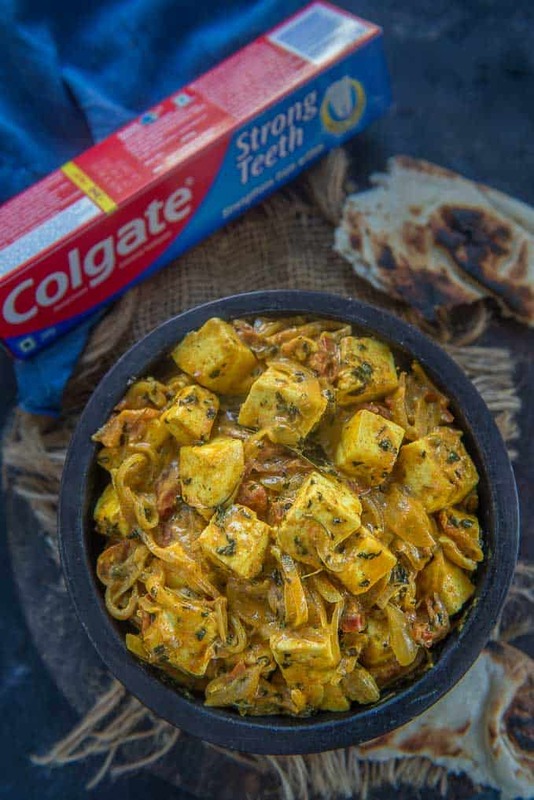 One simple recipe to include Calcium in the diet is Jhatpat Paneer or 10 minute Paneer Curry. I make this curry once every week for Bhavye and he happily eats it with paratha or roti. 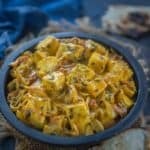 Jhatpat Paneer is an easy to make Paneer Curry which comes together in under 10 minutes and is loved by kids and adults alike. Here is how to make Jhatpat Paneer. Once the oil is hot, add cardamom and bay leaf and fry for a few seconds. Add onion and tomato and fry for 3-4 minutes. Add coriander powder, turmeric powder, red chilli powder and salt and fry for 1 minute until oil starts to separate on the sides. Add Paneer, Fresh cream and Kasoori Methi and cook for a minute.